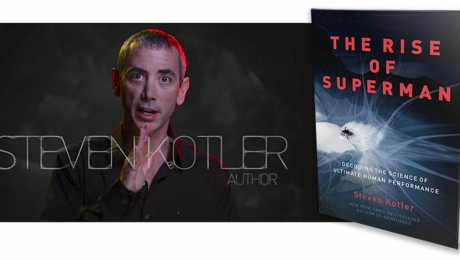 I had the opportunity to interview best selling author Steve Kotler about his new book The Rise of Superman this month. It was truly fascinating stuff! I read Stevens new book and soon found the entire team were also reading it and we were comparing notes and insights. In the interview I find out from Steven, how top athletes reach a peak state called Flow (also known as being in the Zone) and how being in this Flow state increases productivity, attention levels, creativity and the ability to make life and death decisions in split seconds. This month I’ll be interviewing Roger James Hamilton on Trust and Flow. How they are interdependent and that by understanding there are some simple actions we can take, whereby we can create incredible cultures in our organisations, that the people within them can create phenomenal results… More details to follow on this in May but you can already save the date. Interview with Roger James Hamilton – May 14th 0830 BST.